Fill out the form below to request any information you might require. We will reply as soon as possible to answer any questions. 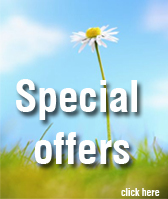 Send us your comments and sign-up for our offers.